ByeBye carbon-less stencil making! 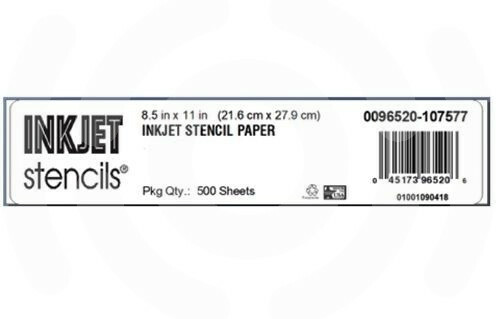 500 sheets of the A4 size InkJect Stencil Paper to be used in conjunction with a compatible EPSON Ecotank printer as well as the InkJet Stencil Ink. This tracing paper comes in at 5p per sheet! Compared with an average of 27p per sheet for A4 carbon paper, that’s already an inclination of just how much money you can save using the InkJet Stencil system.